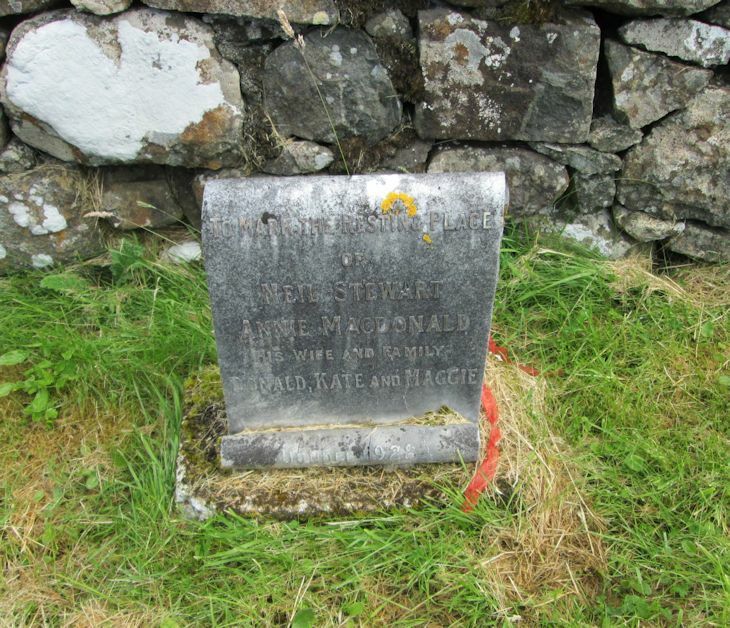 Skye Gravestones | Neil & Annie (Macdonald) Stewart & family. Neil & Annie (Macdonald) Stewart & family. To mark the resting place/of/NEIL STEWART/ANNIE MACDONALD/his wife and family/DONALD, KATE and MAGGIE/Dundee 1928. Picture Added on 23 July 2014.